This a movie review of COIN LOCKER GIRL a.k.a. CHINA TOWN. ‘Oliver Twist’ for the modern generation. A state of the nation address, which can be applied across credit crunch suffering countries. 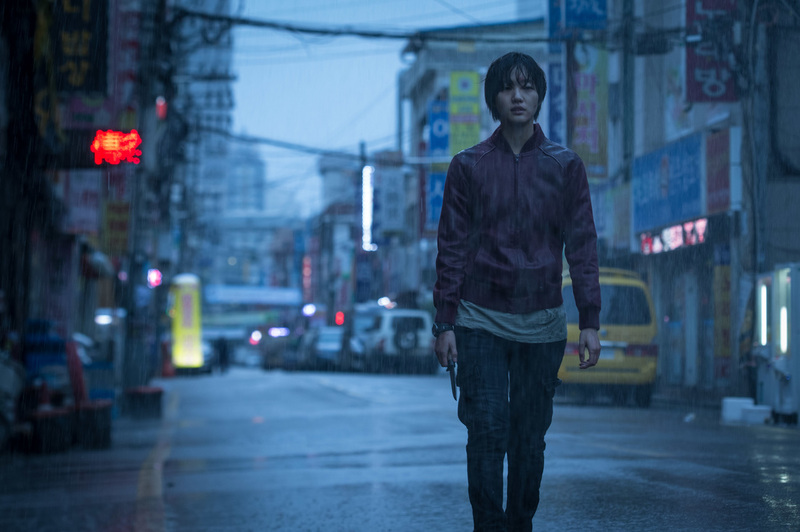 Concerning teenagers and late 20-somethings emerging from education into a world sans opportunities, dressed as a gripping crime drama, props to debutante director Han Jun-hee. He has followed in the steps of filmmaker Kim Jee-woon (I SAW THE DEVIL), showcasing the merciless chewing up the innocent. 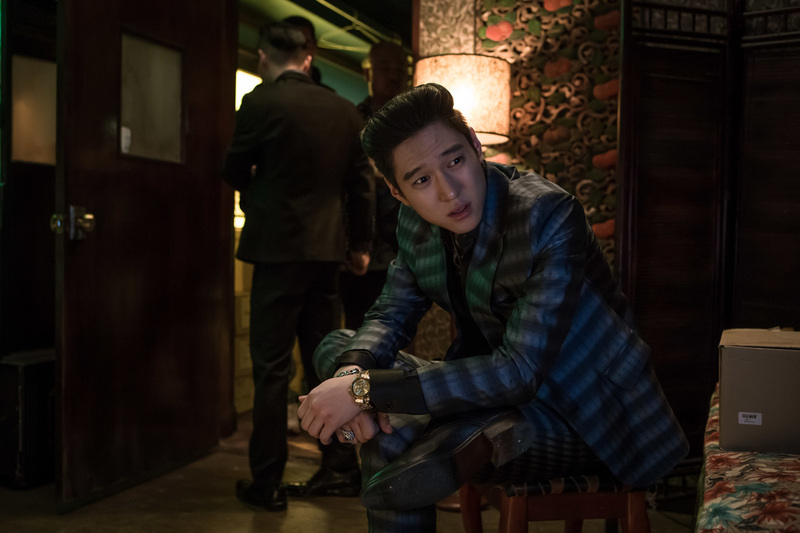 Wasting no time on pleasantries, COIN LOCKER GIRL has matriarch gangster, ironically nicknamed Mom, blood-stained standing over the girl of the title, Il-young (Kim Ko-eun), telling her that when the muscle relaxants kick in she won’t feel the knife plunge in. Cut back to Il-young’s origins. 1996, Incheon, South Korea, her narration (will it be from the grave à la SUNSET BOULEVARD?) reveals her abandonment and discovery in a subway locker by a homeless man. 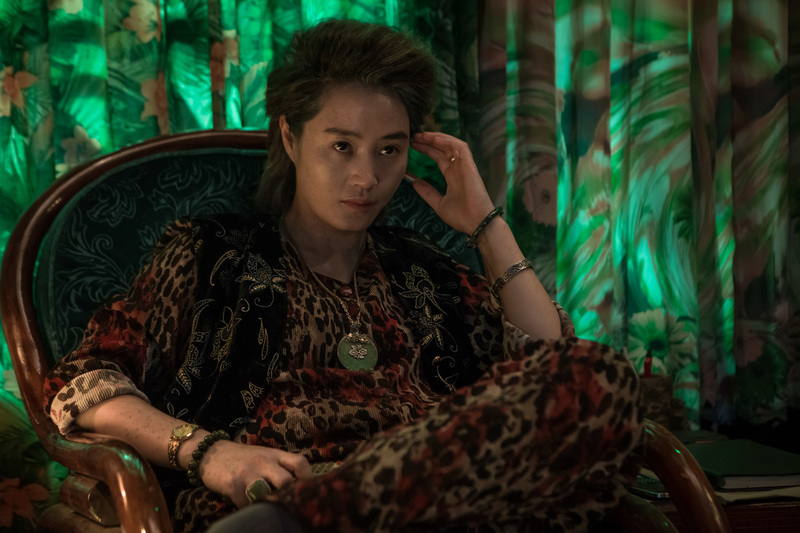 Raised by the public transport dwellers until 2004, when at eight-years old she is kidnapped by Detective Tak (Jo Bok-rae) and sold to Mom, a Fagin-like criminal residing in Chinatown dealing in anything illegally profitable. From gambling to human trafficking, Mom is seemingly absent of morality and compassion. Stony-faced, she is ready to jettison any of the children in her employ who do not turn in the requisite sums. Her business entity: “Ma Enterprises”; a commentary on current corporate Darwinian survival of the fittest injected into a film noir. At such a young age, Il-young is already as tough as nails; think the young Conan in Arnold Schwarzenegger’s CONAN THE BARBARIAN. Survival is melded into their D.N.A. After Mom puts a dying dog out of its misery with a shovel, Il-young walks into a shadow and out again this time as a teenager – an ace presentation of time transition. 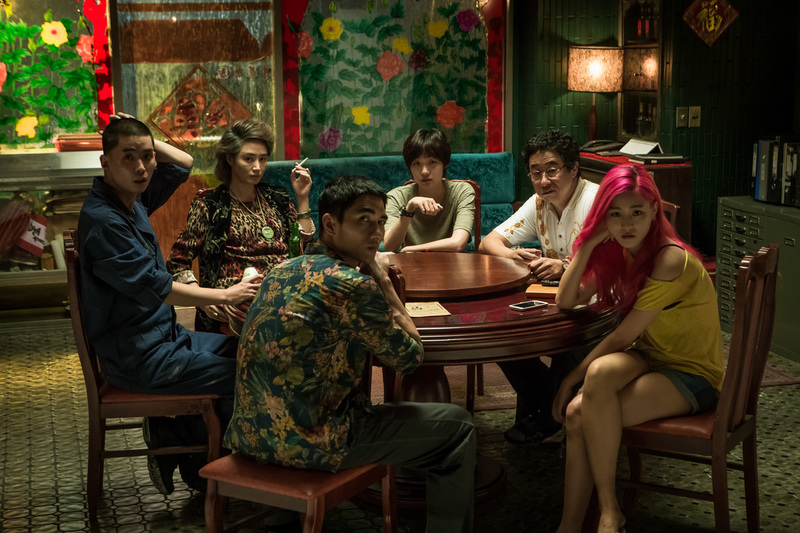 A mah-jong gambling den has Il-young show mettle and resolve beyond her years. Of Mom’s four “kids”, she is the complete malefactor package. The other three range in flaws, from being a junkie to mentally slow. Murder as a way of life might be forgotten at mealtimes, as they sit around together as a pseudo-family, if not for the weighty silence hanging over them. Clinging to existence does not make you talkative. Il-young is Mom’s favourite, and at one rare vulnerable moment the latter reveals that she killed her own mother and pays respect to her every year. COIN LOCKER GIRL loves to (potentially) foreshadow. Shaking up the violent routine, in a neat gender reversal, a gentle young man comes onto the radar of Il-young. Park Suk-hyun (Park Bo-gum), who looks like a boy band alumnus, opens up the lead to the kinder side of human interaction. He is unfortunately the son of a debtor, who owes a considerably amount to Mom. Apart from these two star-crossed lovers (and the audience), no one wants a happy ending. Mom turns on her protégé, to disastrous effect. Think what happens to the organisation that does the same to Sun-woo (Lee Byung-hun) in A BITTERSWEET LIFE. Resilient as a particularly tough virus, Il-young satisfyingly leaves a trail of bloodshed. Fans of ruthless thrillers will adore the last shot.